I almost want to say Judas Priest is back, but then again, they never really left! 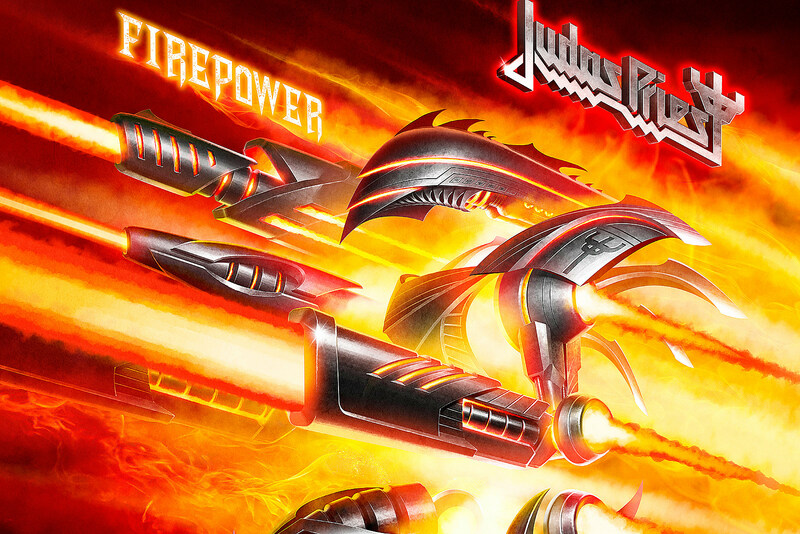 Their newest studio album, Firepower, is just so good that I think it’s their best since Painkiller (1990). The songwriting, production, guitar-work, drums, vocals… everything is stellar as far as I’m concerned. It is truly remarkable that this band still sounds so incredible after being in the industry for almost 5 decades! It wasn’t easy to get here. In 2011, K.K. 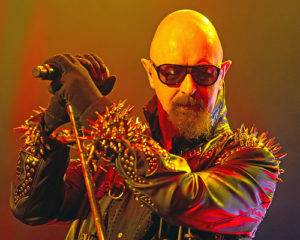 Downing, who’d been in the band since 1974, announced that he was leaving Judas Priest. It came as a shock to everyone. Keep in mind, Judas Priest was one of the first bands ever that had that twin guitar sound; and K.K. and Glenn were holding the fort for all those years. A lot has been said about K.K. and I won’t dwell on this subject in this review; but according to Downing, he left because he “wasn’t’ enjoying it anymore” and that “a lot of things had changed”. This, combined with the lukewarm reception Nostradamus (last with K.K. Downing) and Redeemer of Souls received, provided some challenge before Priest went into the studio for album number 18. 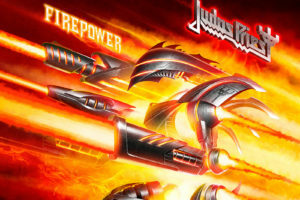 Now, with the release of Firepower, Judas Priest has delivered to best response to alleviate all concerns. The first thing you notice when the title track kicks in is the production. I think it’s the best sounding Priest album since Painkiller. It has a modern edge but it retains the classic Judas Priest feel. This is thanks to two well-known producers collaborating on this album: Tom Allom and Andy Sneap. Allom worked with Priest in the ’80s and produced a few records with them during that time. The last studio album he did was Ram It Down (1998), though he did come back to produce a live album in 2009. Sneap, on the other hand, was new to the Priest camp. But of course, Sneap definitely isn’t new to heavy metal production! He’s worked with Testament, Exodus, Accept, Megadeth, Arch Enemy, Blaze Bayley and so many other artists. Some of these guys give him immense credit for re-launching their career – that’s the kind of reputation the guy has! By getting these two to work together, Priest achieved something magnificent. Sneap produced some of my favorite metal albums and he sure knows how to make a metal album sound great, but sometimes the albums he produces can sound a little too much alike. But with Allom’s presence and experience, we get to hear something unique, modern, and classic at the same time. The second thing you notice is the incredible songwriting. 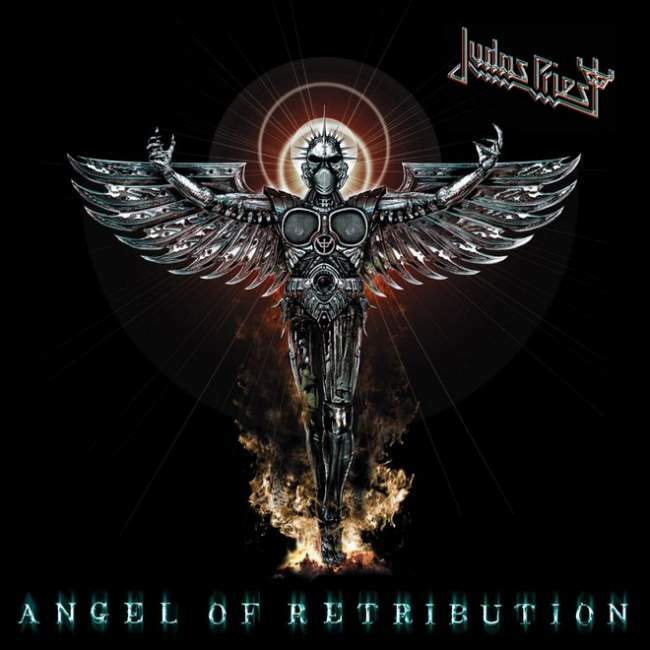 Judas Priest released some really good albums since Halford came back into the band in the early 2000s but I, along with many other fans, felt something was missing. I think especially Angel of Retribution (2005) and Redeemer of Souls (2014) are solid albums but I still thought something was missing. They didn’t flow that well as albums, you just had to pick some songs off of them. With Firepower (2018), we’ve got a great album! I honestly cannot pick one favorite song. This is one of those albums where you’ll want to listen to the entire thing as soon as you hit play. On Firepower, the band decided to go for shorter songs, but I think that’s a good thing. Nothing wrong with long songs, I sure like a lot of them, but it’s hard to keep the listener engaged if you keep repeating the same stuff. Here, every song delivers something great, and because the songs are streamlined, it leaves you wanting more. My theory as to why the songwriting is better than the last few albums is Richie’s involvement. I’m fully aware that he was already a member of the band on Redeemer of Souls and he has songwriting credits there, but he was still super new. 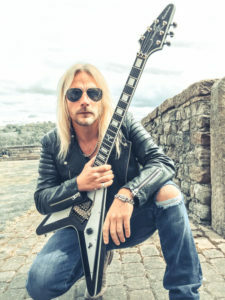 Even Rob Halford says Firepower is “Richie’s moment” because all the previous experience “put him in a better place” by the time they were ready to record the album. I just have a sense that Richie contributed a lot more on this one because it sounds different – in a good way! Even though he’s younger than the rest of the band, he’s cut from some cloth. The album booklet says all songs were written by Halford, Tipton, and Faulkner so, I don’t know who wrote exactly what. But when you compare Redeemer to Firepower, it’s pretty obvious Richie contributed a lot more to the latter, and it sounds like the rest of the band was thrilled to receive more input from him. This is a metal album, through and through. But of course, since this is Judas Priest, there’s a lot of great melodies. Glenn and Richie do a great job with leads as well as with riffs. This album has some of the best guitar-work you’ll hear from the band. The drumming and bass, undertaken by Scott Travis and Ian Hill respectively, are solid as always (side note: Travis is an underrated drummer, let’s just admit that!). And last, but definitely not the least, Rob Halford… Look, there are many great vocalists who have stood the test of time – but I can’t think of anyone who can still sing as well as this guy does after having been in the industry for more than 45 years. And if you look at YouTube videos of their current live performances, you’ll see he can still sing these songs live too! It’s remarkable, really. All vocals on Firepower, whether the song is fast and aggressive or slower and more melodic, are delivered with the sheer intensity and power that only the Metal God himself could do. This part is hard to write because, as I said before, I don’t just have a few favorites, I like the entire album. But I’ll try to provide some highlights. They’re all different in certain ways but deliver the same kind of punch! Firepower is a great opening track. It’s short but long enough to make a statement! Great vocals, catchy riffs, great drumming, and some great leads. It’s fast and aggressive. And the melodic middle section is just so well done! Lightning Strike is one of my favorites. The main riff is one of the band’s best. It’s a nice mid-tempo song that keeps you interested via changing riffs. The middle part with the guitar harmony is exactly why people love Judas Priest! Evil Never Dies is another remarkable song. It’s super heavy with a great groove. I absolutely love the chorus on this one! Just when you think the song is going in a “happier” tone when Rob sings “beware, there’s voodoo in the night”, it instantly shifts into this other, more evil sound and Rob declares that “evil never dies”. There are some insane falsettos towards the end. And all the leadwork, especially the solos, are just incredible. 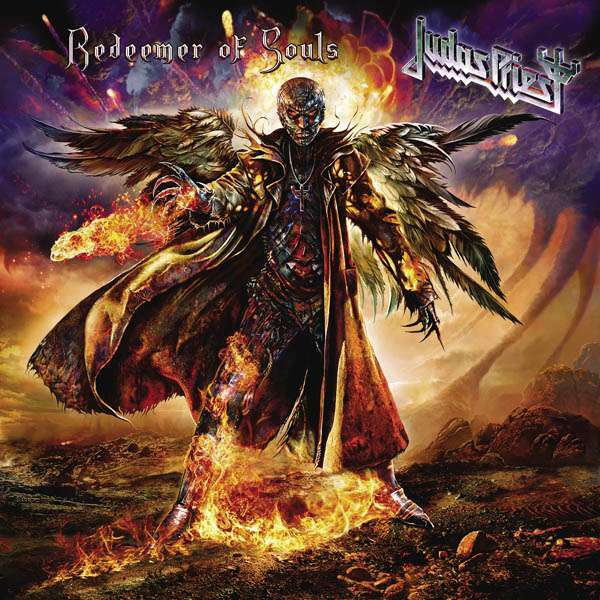 I think this song will become a modern Judas Priest classic in no time! Never the Heroes is a slower song that showcases some of Rob’s more melodic singing. I love the middle section – there’s an awesome riff that kicks in and I love the melodic guitar licks that come after. The next one, Necromancer, has a faster pace and it’s one of the heaviest on the album. I think this one is the perfect example of Priest combining classic and modern metal elements. When you hear the riffs, you’ll see why. Richie and Glenn trade some tasty solos here. Children of the Sun is another slower paced, groovy track. This reminds me a lot of Rob’s side project in the ’90s called Fight. It just has that vibe. It’s a really catchy tune. And when you have some slow but heavy songs like this, you need a great vocalist who can fill the space left by relatively less complicated guitar parts. Rob’s vocals truly shine on songs like this. Guardians, an instrumental, serves more as a prelude to the next song. It’s dominated by piano and guitars. It sounds like something Jon Oliva and Brian May would have written if they’d ever collaborated. Then we have a seamless transition into Rising from Ruins, and you get into some classic Judas Priest territory! Such a great, melodic chorus in this one. It sort of has an “anthem” feel to it and I think the best solos of the entire album are on this track, which tells you something because every song has great leadwork! Flame Thrower is so damn catchy it was stuck in my head for days! Killer song with a faster tempo. It kind of has a punk vibe to it and it reminds me of some modern Megadeth from around 2008-2011. Spectre has a really beautiful melodic section in the middle that I know every JP fan will love, and then around the 2:40 mark there’s a kickass, Dave Mustaine style solo. I don’t know who plays that but it wouldn’t surprise me if it is Richie’s solo. There are some great riffs towards the end. I just wish the regular verses were a bit more interesting in this one. As we get closer to the end of the album, Priest shows no signs of slowing down… Traitors’ Gate is another showcase of heavy metal extravaganza. The main riff and the overall tempo of the song are amazing. This is one of those songs that leaves you wanting more. The riffs are great and constantly changing, solos are incredible, singing is stellar, and there’s some great drumming too. What more could we ask for? No Surrender is pretty different from the rest of the record. Once again, the chorus is super catchy and the leadwork is great. It’s a straightforward rock song; sort of like a Judas Priest meets Scorpions kind of track. Lone Wolf once again has a great chorus and Rob’s vocals are great as always, but in general, this song doesn’t do much for me. The melodies towards the end are great, but there’s a bit too much repetition and I don’t think this one flows as well as the rest of the tracks. But we end the album as incredibly as we started when Sea of Red kicks in. It has a cool acoustic opening and, in general, has a ballad vibe. Rob delivers some of his best vocals here. He’s not just a great metal singer, he’s a great singer in general. This song is proof of that. Around the 3:50 mark, there’s a haunting melody that captures the atmosphere of the song really well. Plus, of course, we have some great guitar melodies that carry us through the end. I don’t always do a song by song analysis, but each song is so good on their own that I thought they all deserved some detail. I’m a big fan of Firepower. The band is energized, inspired, and ready to rock! Judas Priest is currently on tour in North America. They’ve got more dates coming. 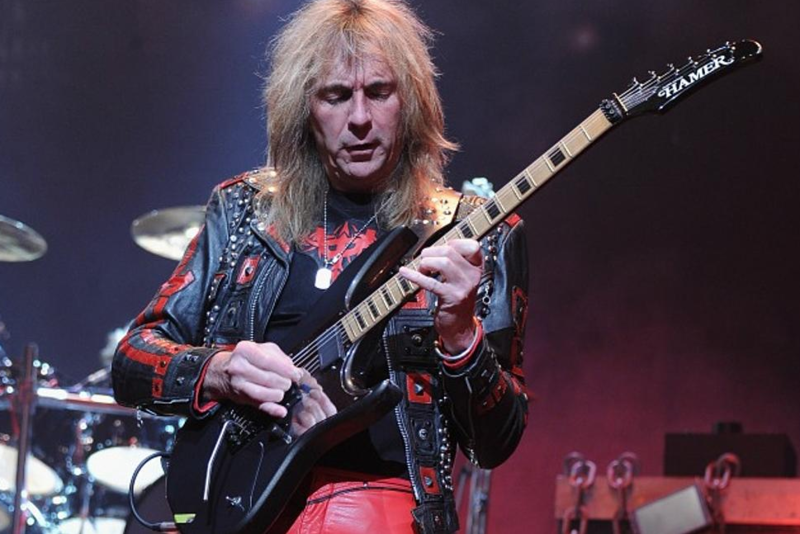 Unfortunately, Glenn Tipton won’t be a part of the tour as the announced a while ago that he’d been battling Parkinson’s Disease for 10 years and it had gotten worse. 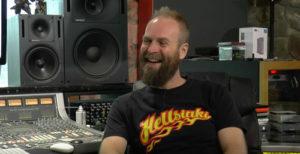 Andy Sneap, who co-produced the album, is filling in for him. But as Rob and Richie have made clear, Glenn is still a full-time member of Priest and his guitar playing is all over the new record! And yes, he can still play guitar, as he showed when he briefly joined Priest for a few songs at their show in New Jersey. So, there you have it; the mighty Judas Priest with their 18th studio album… and what an album it is! Don’t listen to naysayers online who still haven’t gotten over K.K. leaving. I have the utmost respect for K.K. and I won’t engage in speculation, but he chose to step down and Richie is doing a remarkable job. To ignore this album just because K.K. isn’t there would be the ultimate insult to the rest of the guys who have created something incredible. So, forget the rumors and focus on the music. But most importantly, listen to Firepower! Those blessed souls are now deceased. With open arms, we fight for peace.